This is a round RPM Motor Oil porcelain sign. This particular RPM Motor Oil sign is predominantly blue with black text. 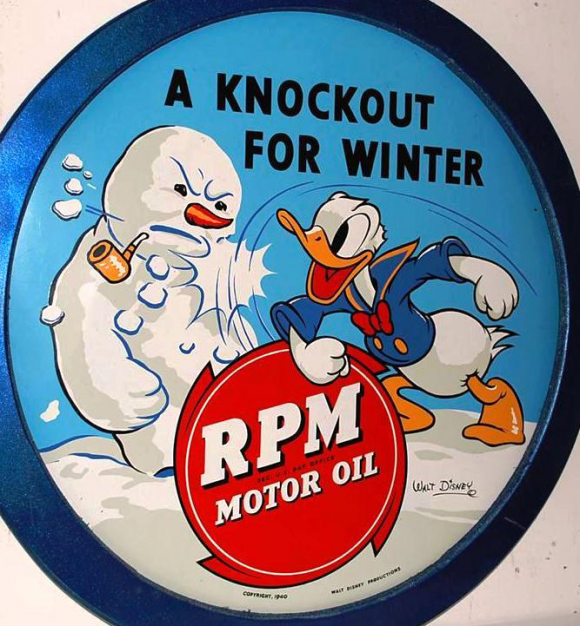 It reads, “RPM Motor Oil, A Knockout For Winter” and features Donald Duck fighting a snowman in the center.